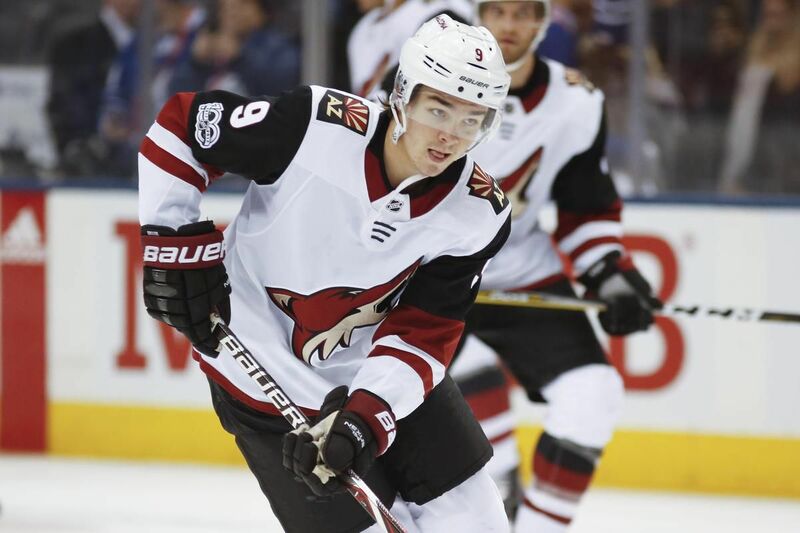 Clayton Keller is Arizona’s version of Leaf Mitch Marner: slight, skilled and productive. Keller reached 100 points in his 132nd career game on Friday, the fastest in Coyotes history to do so. His 33 points (10 goals, 23 assists) lead the club. Marner had a four-game scoring streak end Friday, but his 60 points (19 goals, 41 assists) top the Maple Leafs. He hasn’t gone more than two games without a point this season. The Coyotes are 18-3-1 when they score at least three goals, and 4-1-1 in their last six overall … They sat just four points out of a playoff spot after Friday’s games, but the bottom of the Western Conference standings is so crowded that they might be in sell mode with the trade deadline a little more than a month away … Coyotes who could be on the block, according to the Arizona Republic: ex-Leaf forward Richard Panik, plus defencemen Niklas Hjalmarsson (who won three Stanley Cups in Chicago and would have to waive his no-trade clause) and Alex Goligoski. Wednesday vs. Washington Capitals, 7:30 p.m.